The photo above certainly does not depict me–I won’t even try this rocky section which my friend Rosemary attacks with ease. Having grown up as I did with very little bicycling experience, I pretty much started from scratch a bit over a decade ago. As a kid I spent much more time riding a horse than riding a bike. An early incident when I was about five years old was not an auspicious beginning to my biking career. 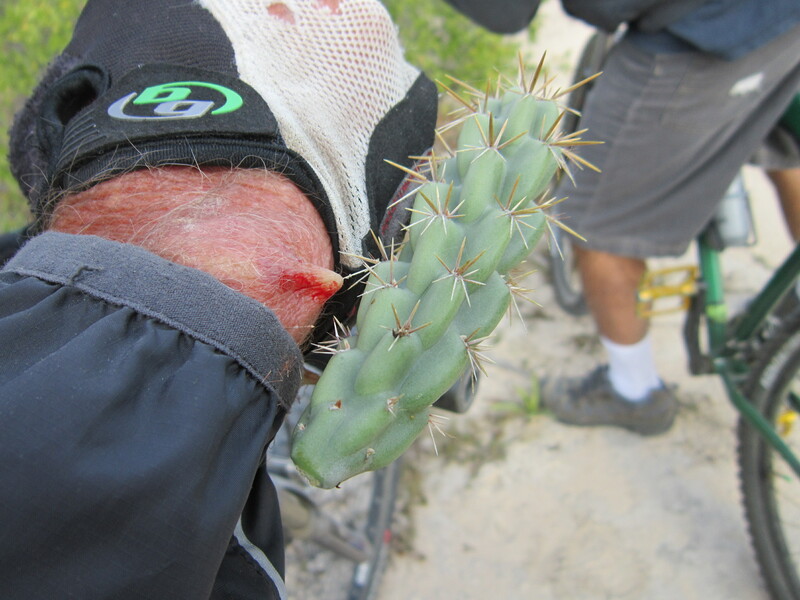 Somehow I thought it would be a good idea to see what happened if I touched my front tire to the rear tire of my older brother’s bike as we pedaled along the caliche ranch road. Trust me–not a good idea. 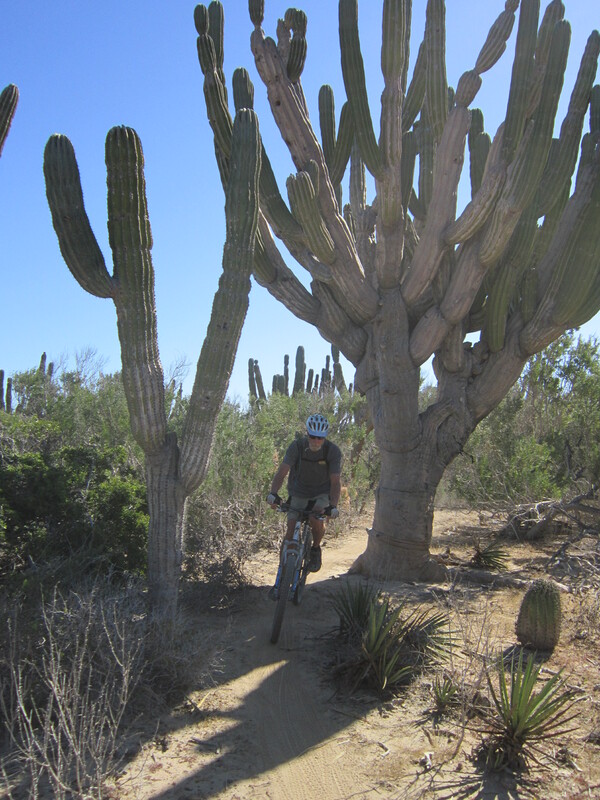 My friends have taught me important basics about riding sandy singletrack trails through the desert of Baja California Sur, lined with spiny cactus and agave plants. Keep light hands on the handlebars. Don’t oversteer. Continue pedaling and keep your chin up. These simple tips all sound so easy in theory, don’t they? But out on the trail, on the journey, on our separate paths, they’re sometimes hard to remember. 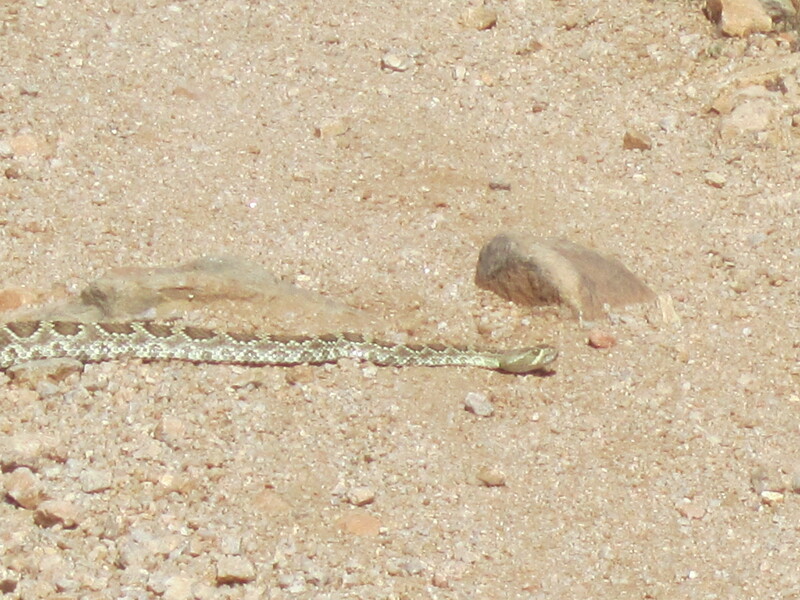 And new trails, as here in the Sonoran desert of Arizona, sometimes bring new obstacles. But our friends here share secret glories with us as well. 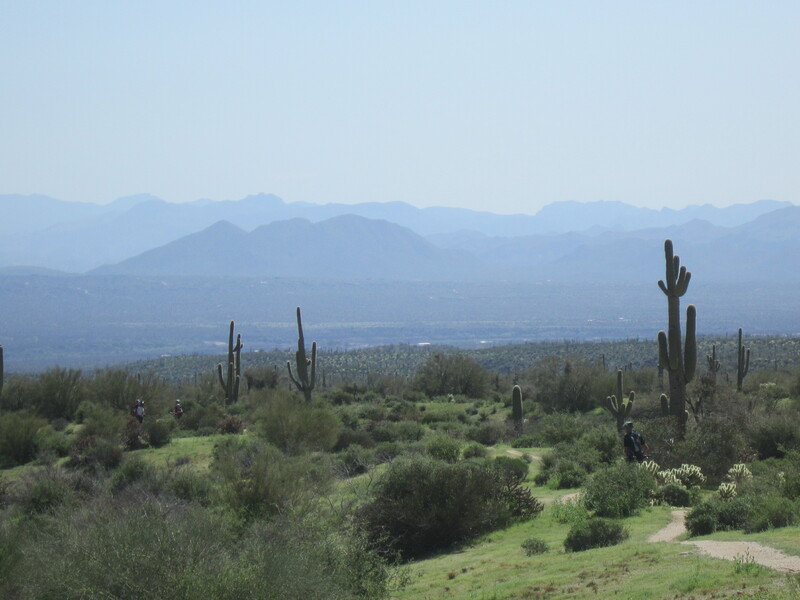 Along biking trails and along life’s journeys, the views, especially when seen with friends, often renew, strengthen, and inspire us. How could we not be thankful? What obstacles is it better to look past? What tips do you have for navigating the deserts in our lives? This entry was posted in Baja, cactus, flowers, gratitude, landscape, secret glories, thankfulness. Bookmark the permalink. there is a quote about how the pain of being contained in a bud got too much and overcoming the fear to bloom. 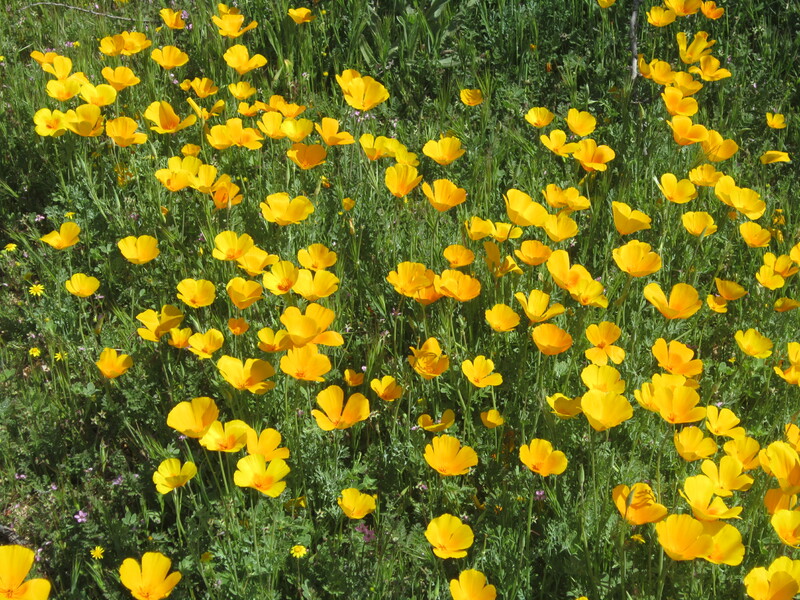 I wonder how many times I have not pushed through the obstacle of fear from one unhappy experience and missed the glory of discovering the flowers waiting. Fear is often an obstacle for me, too; I think it is for all of us. But the glories all around us outweigh the negatives. Thanks for reading, Linda. 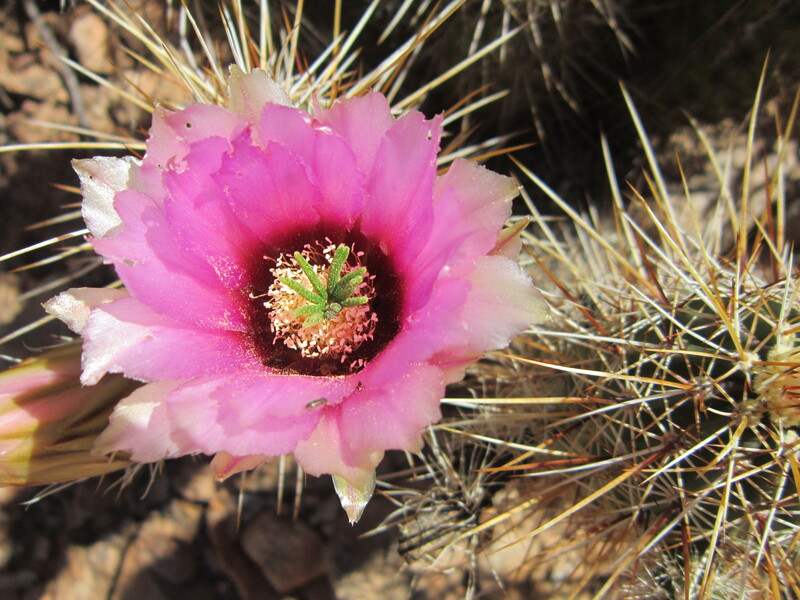 Navigating the desert in my life…allow my focus to go beyond the thorns & stings, beyond the lack of water…seek the unexpected bloom, the signs of life around me; let these lead me through the parched landscape. Thanks, Chris, for calling us to the “more” in our lives! Isn’t the desert a perfect metaphor for our trials? Literature and scripture make rich use of it. Thanks, Anne.